It is more fun in the Philippines for the short-stay traveler. There are as many reasons for that as there are islands in this western Pacific archipelago. 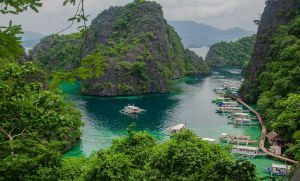 But for those of the baby-boomer generation, or even those of younger age, you will find out that it is also more fun to retire in the Philippines. It has plenty of “retirement” activities to offer. Golf, long walks, kite-surfing, wind-surfing, diving, driving, more golf. 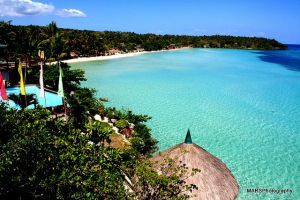 Or you can take a short flight from Manila or Cebu to elongated Boracay Island and enjoy its long four-kilometer stretch of fine white-sand beach. One of the finest beaches in the world. In many parts of the Philippines, you can enjoy a bottle of good beer for less than $1. On Boracay where things are a bit more expensive, that same bottle could go for just about $1. Ah, the beer bottle, a good indicator of how inexpensive your lifestyle can be in the Philippines. You can live like a king (or queen) on these islands. To get an official retiree’s visa, all you need is at least $10,000 deposited in a local bank or invested in some hard asset… a condo, a long-term lease. Retired US servicemen can live quite well on pensions of $3,000 to $4,000 per month, in a country where the per capita income is less than $1,000 per year. But don’t eat or drink too much, a common temptation for retirees, especially with bar bills so surprisingly low and eating out a constant urge. Health care here meets most expat standards, but some retirees do complain that their health insurance provider is mightily reluctant to cover care in the Philippines. The message is, stay healthy in retirement. Where would you go? Retired US military often go to Angeles or Subic, sites of the US Air Force and US Navy bases before their leases ran out in 1991. You can go to join the enclaves of expat retirees in the bigger cities Manila and Cebu, or even those living in smaller places like Dumaguete, Camiguin and Bohol. Yes, there are many choices available for those who wish to retire in the Philippines. But if you want a place where the beautiful beach is literally just a stone’s throw away, where the banks and shopping are just a short walk away, it is time to go to paradisiacal Boracay. 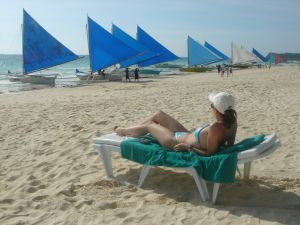 You’ll find, like many others have, that it is really fun to retire in Boracay. Jessica Ann Martin invites you to visit Boracay Island, Philippines and see for yourself why so many expats consider it ” a slice of Paradise “. Get more information about the little details you need to visit or even live in Boracay from Jessica’s website http://boracaystories.com/.